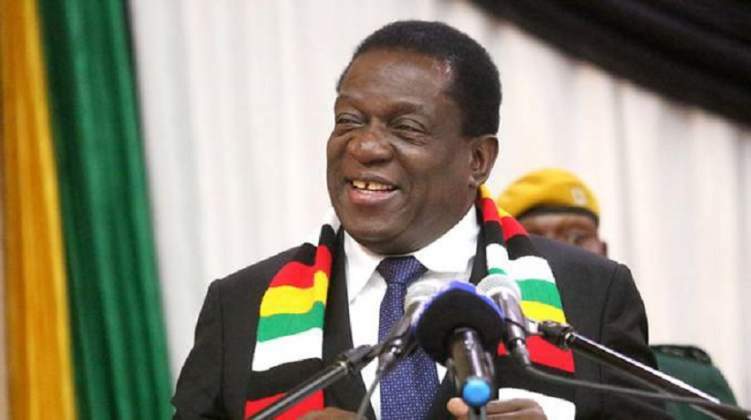 President Mnangagwa yesterday sent his condolence message to families of the 98 people who have lost their lives after Cyclone Idai hit the eastern parts of the country, mainly Chimanimani and Chipinge districts, over the weekend. The Ministry of Local Government, Public Works and National Housing said yesterday that the cyclone has left 102 people injured, with 11 719 affected in various ways, while 217 have been reported missing. There are 42 people who are said to be marooned in various areas, with efforts to access them hampered by the bad state of the roads and destroyed infrastructure such as bridges. The Meteorological Services Department has since indicated that the cyclone has died down and only heavy rains have remained. In his address to the nation last night over the disaster, President Mnangagwa said it was disheartening that more people were still missing and yet to be accounted for. "As I address you tonight, our nation, alongside sister nations in our Southern African region has been buffeted by a disastrous cyclone which has hit districts in three of our provinces, principally and gravely the contagious districts of Chimanimani and Chipinge in Manicaland," he said. "On behalf of our grieving nation, Government and indeed on my own behalf, I wish to express my deep, heartfelt condolences and profound sympathies to all the bereaved families which have lost their loved ones. "I, too, share affected families' ever-mounting anxieties and distress in respect of all those still missing, and whose hopes for possible rescue diminish with each precious hour and day that passes. My heart goes out to all those who have sustained various injuries from the cyclone, all the time wishing that they rally back and recover speedily. "From reports on hand, we now know that many drowned, while others were killed in their sleep from swift and unexpected rock falls which demolished their homes and other forms of institutional shelter. Still others met their tragic fate from overwhelming landslides which suffocated, before swiftly burying them under. "We believe that to this day, many still lie unrecovered beneath mounds of debris that hit them with such overwhelming fury in their sleep that they stood no chance." President Mnangagwa paid tribute to the United Arab Emirates which he visited recently for committing to assist the victims with medicines and other necessities. He urged other well-wishers to continue coming forward to assist the affected families. "I am grateful to the Government of the United Arab Emirates which, in the context of my just ended visit, promptly responded to my request for humanitarian assistance in the work of the disaster," said the President. "We are set to receive medicines and other materials from UAE, which will go quite a long way towards alleviating our situation. Equally, I am grateful to other governments and organisations which have heeded our call for assistance. "To ensure the response to the disaster is national, Government will announce focal points which will be accessible for the collection of any kind of assistance meant to complement Government efforts." President Mnangagwa said he was aware that the cyclone affected other parts of the country in Mashonaland East and Masvingo provinces, adding that Government's hand would also reach those areas. President Mnangagwa declared that a State of Disaster exists in all cyclone-affected areas in terms of section 27 (1) of the Civil Protection Act Chapter 10:06 of 1989. Speaking on the disaster yesterday, the Ministry of Local Government, Public Works and National Housing said low clouds combined with torrential rains and windy conditions were hampering operations by air. "The severely damaged road network has impeded access to the affected communities by road," said the ministry. "Every attempt is, however, being made to reach the marooned, albeit the access challenges by both road and air. "Chimanimani district has more than 150 houses and eight bridges - Umvumvumvu, Biriiri, Muusha, Silverstream, Machongwe, Charter, Pondo Farm and Mhandarume - destroyed by the cyclone." In Mutasa, 24 houses and four toilets were damaged, while in Mutare Rural mud has blocked Leopard Rock Road. Mutare urban has 59 houses damaged, Buhera 30 and Chipinge 234, Mutare Rural 189 and in Masvingo Gutu had 108 and Bikita 61. In Chikomba in Mashonaland East, 68 houses, bridges and roads have been damaged. About 500 people from Chimanimani have sought refuge at Chaminimani Hotel, while 300 are at Ngangu School. The number of the people seeking refuge at Rusitu is not yet known due to access problems. Relief items are being received in Mutare at the provincial administrator's office or Makombe Building in Harare.